What's Centenary really like? Schedule a visit and find out! Click here to schedule your personalized campus visit now! 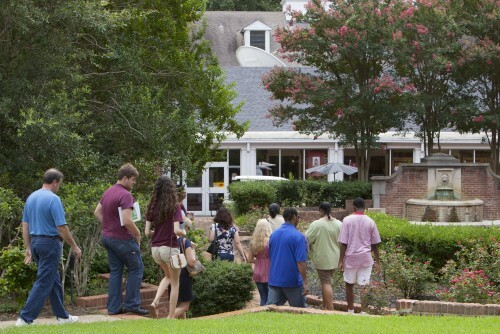 Visiting campus is the best way to learn whether or not Centenary is right for you. An "official" Centenary visit is either an individualized visit or attendance at an Open House. An individualized visit includes an admission and scholarship information session and a campus tour. Additionally, students may indicate that they would like to meet with a professor or sit in on a class for a better understanding of the academic value at Centenary, class sizes, and attentiveness of professors. Athletic recruits may also visit with a coach and get a tour of our athletic facilities. If you would like to opt to sit in on a class, meet with a professor, or schedule a group visit, contact the Office of Admission at 318-869-5131. Explore life at Centenary through tours and panel, plus learn about admission and financial aid. Admitted students can immerse themselves in the Centenary experience with a day of classes and an overnight stay on campus with a student host.